Posted in: Daily Posts. Tagged: Back Yard Photography, Dubuque River Walk, Great Friends, landscape photography, Living with Diabetes, Moon Photography, Photography. Today I have some more back yard images for you. After a wonderful dinner I went out to the patio to enjoy the evening sun. Of course when I see that beautiful soft orange light I have to get my camera and shoot some images. 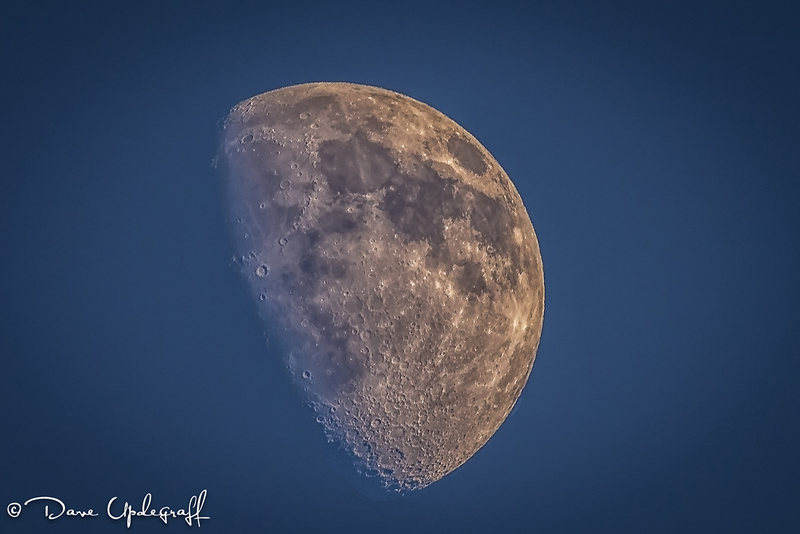 The moon really stood out this evening and I didn’t have to fight with the city light clutter to make this image. We met our great friends Becki and Steve for lunch yesterday. They had been shopping in Wisconsin and were stopping by Dubuque on their way home. We ate at my favorite (sort of) restaurant, Tony Roma and had a wonderful visit. To celebrate my anniversary I had a small piece of strawberry shortcake (my favorite.) I got along with it pretty well. 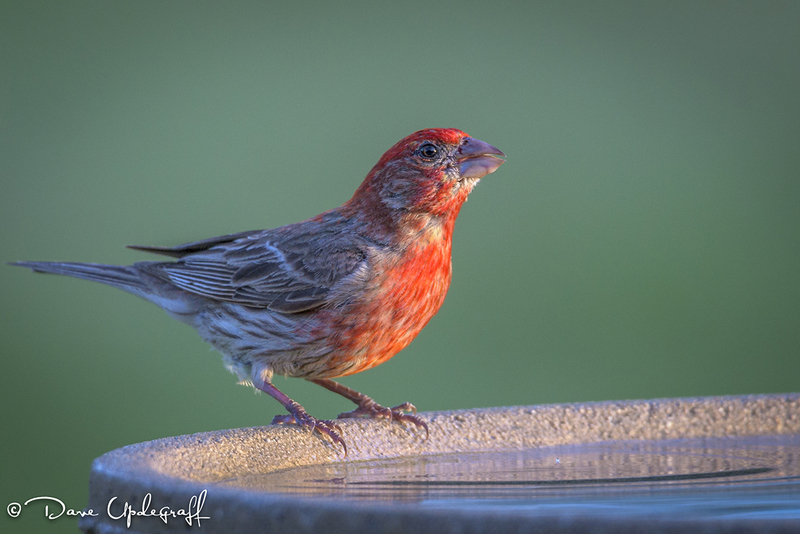 I am starting to enjoy the Sigma 150 – 600 mm VRII lens. At first I thought it wasn’t very sharp but after some experimentation and trying different setting values I believe it is going to be a keeper after all. I’ve had it for almost a year now but just have not been able to get comfortable with it until recently. 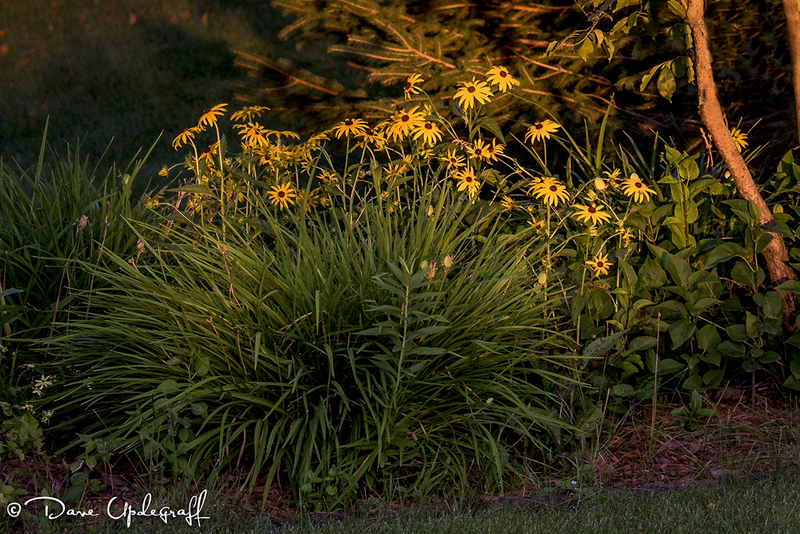 Not exactly the image you expect to take with a 600 mm lens but as we were going inside (the bugs were starting to bite) and Jeanne said, “Oh look at the beautiful ight on Jack’s (our neighbor) flowers. So I handheld the lens and grabbed this shot. That’s it for today. Enjoy your humid Sunday. Thanks for stopping by the blog and be careful.